The school is managed by seasoned educationists with specialization in early childhood education, educational psychology and guidance & counseling and with over a decade teaching experiences in standard nursery /primary school operated by a multinational organization. We have efficient school governing council comprising of seasoned educationists, technocrats and respected leaders in the community who has excelled in their chosen careers and has over the years demonstrated great passion for quality education for teeming young generation in Nigeria. We developed adequate teaching curriculum for each age grade, made provision for relevant teaching aids, recruited qualified staff and provided training for all the academic and non academic staff in other to achieve the vision set out for the organization. 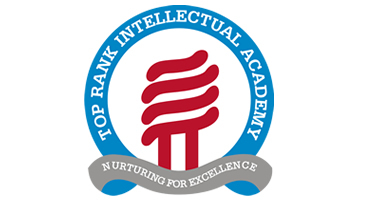 You are welcome to Top Rank Intellectual Academy; kindly take few minutes to review our Vision, Mission statement and Core Values. Thereafter, we encourage you to visit the school and interact with our Proprietress to have a feel of the package ready for your children. Your children certainly deserve a good start in life. 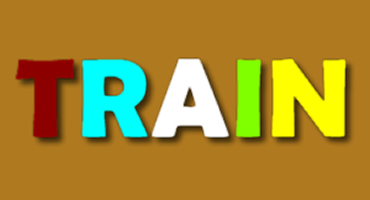 T-Teamwork: we plan to work as a team (Teachers, Parents, the children and the society…) to achieve our vision. R-Responsiveness: we want to be alive to changes; observations, new technologies, Govt policies etc will be addressed promptly. I- Integrity: we will do what we say/promised; uprightness shall be our ways. N- Networking: the world is a global village, we shall work with progressive organizations to achieve our vision and continually improving teaching methodologies. 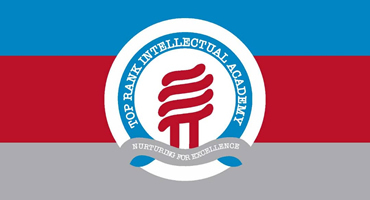 The bulb is our mark of intellect, illumination, knowledge and creativity. The shield is our mark of defense which is a product of the effect of intellectual capacity. The heraldic Banner is our mark of firm foundation, a core value we inculcate to guarantee sound intellectual development. Grey represents Intellect, Security and Endurance.